Preheat oven to 350°F. Line a jelly roll pan with non-stick tin foil or parchment paper sprayed with non-stick cooking spray. Prepare one cake mix according to instructions. Stir in green food coloring. 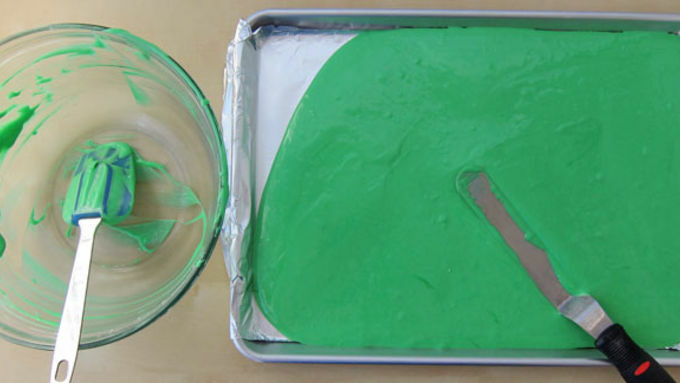 Spread green cake mix into jelly roll pan. Bake cake for 18-22 minutes. 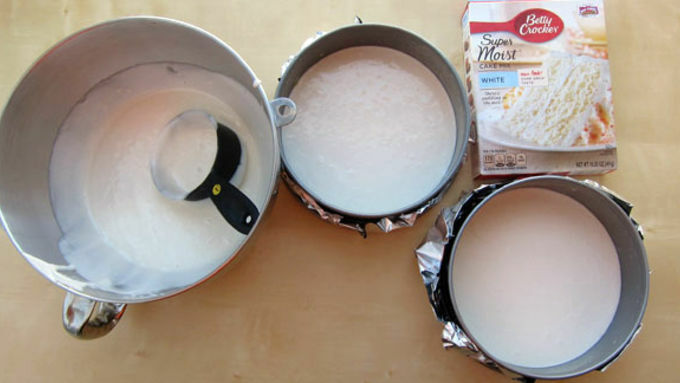 Allow to cool for 10 minutes, then freeze for one hour. Pour 1 cup of batter over shamrocks, completely covering them. Equally divide remaining batter and pour it into the center of each cake pan. 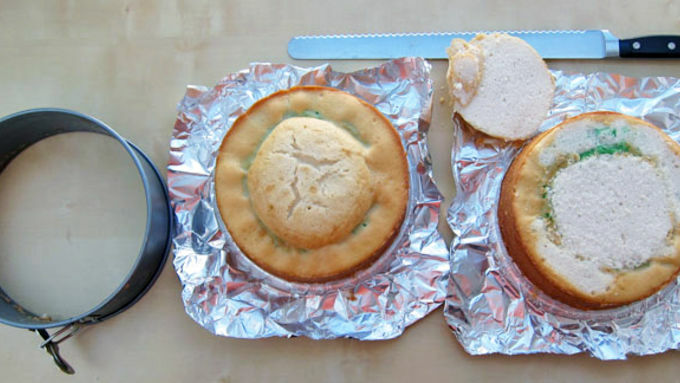 Bake at 325°F for 30-34 minutes, until a toothpick inserted into the cake center comes out clean. Allow cakes to cool completely. 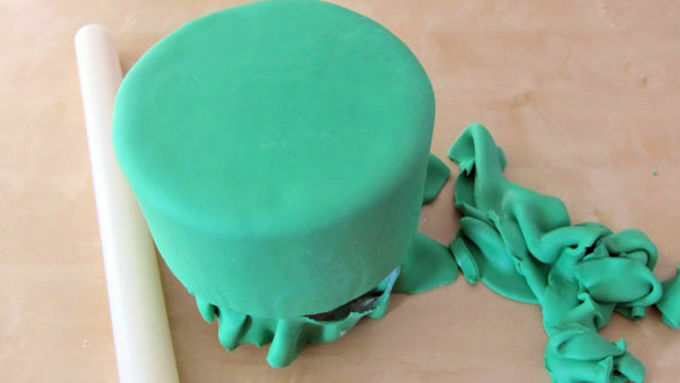 Set cake in the center of the fondant hat brim. Roll and cut a 24-inch long by 1-inch wide strip of black fondant. 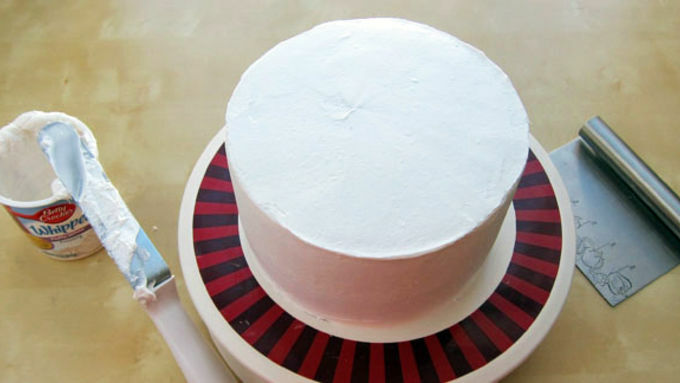 Wrap strip around the base of the cake, forming the hat band. 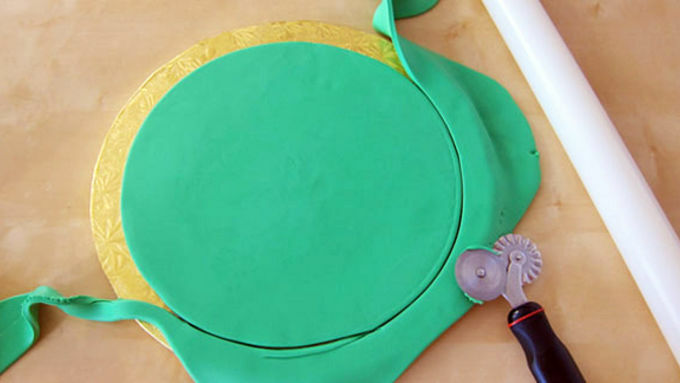 Roll out and cut out a white or yellow fondant buckle. If using, spray buckle with gold food coloring spray. After the buckle dries, brush the back with some water and attach it to the black hat band. 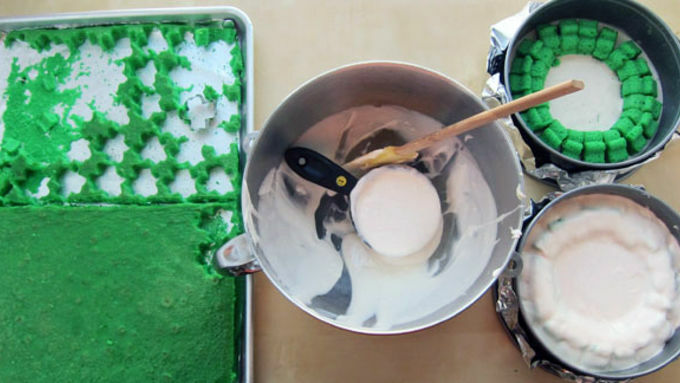 Find a bit o' extra luck inside this leprechaun hat reveal cake for St. Patrick's Day. 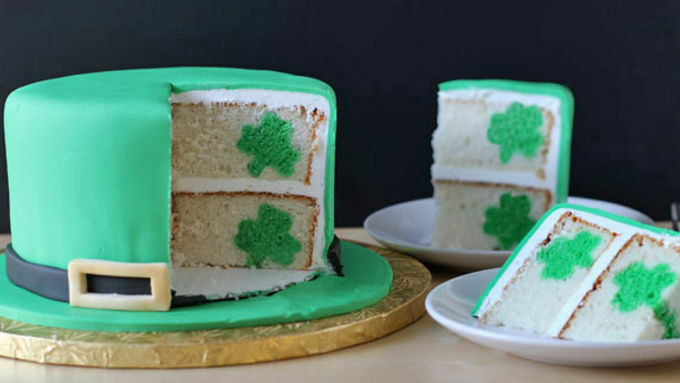 Secret shamrocks are a special surprise inside this adorable cake. Leprechauns were mythical men written about in Irish folklore who were so rich, they had to hide their treasure. So if you could find what they had hidden, you would be rich! Of course, you'd have to find the end of the rainbow, and I'm pretty sure you would need faerie powers to do that. I don't know about you, but I don't have magical powers. So instead of chasing Leprechauns all over the countryside in search of the elusive pot of gold, I decided to make a fun surprise cake instead. It's perfect for St. Patrick's Day. The cake looks like a Leprechaun hat on the outside, and has green shamrocks hidden on the inside. 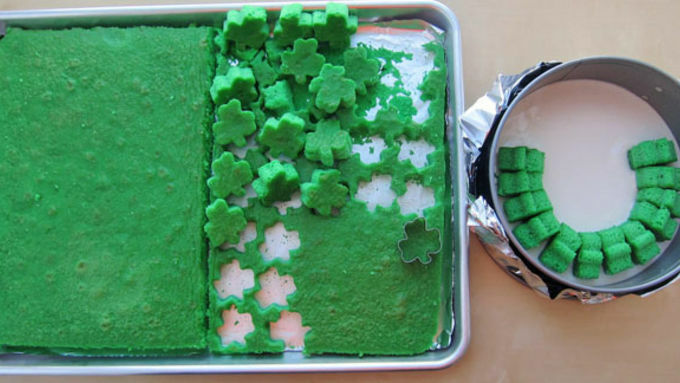 When you slice into the cake, each piece reveals more shamrocks! 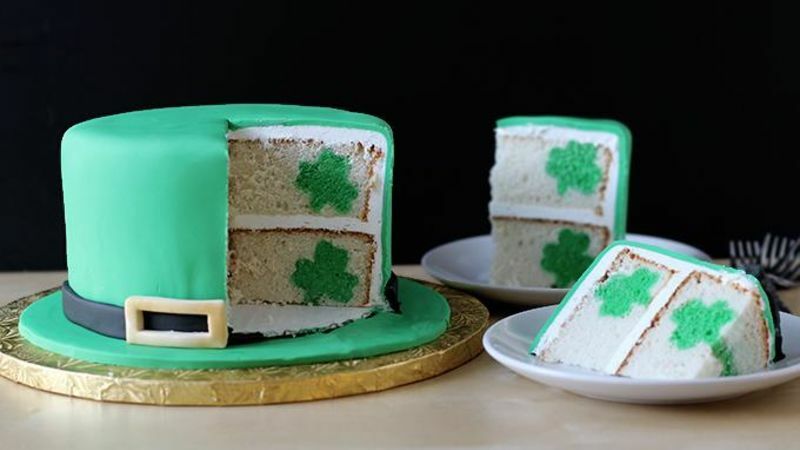 You'll need a small 1-inch shamrock cookie cutter and two extra deep 8-inch round pans to make this cake, along with two Betty Crocker White Cake mixes and frosting. 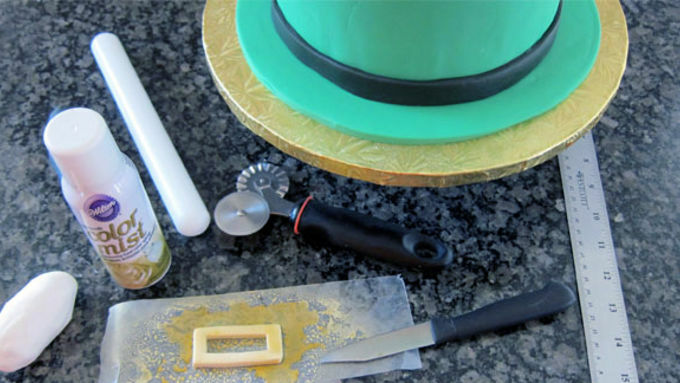 I chose to cover my cake with green fondant to give the Leprechaun hat a shiny and smooth finish. 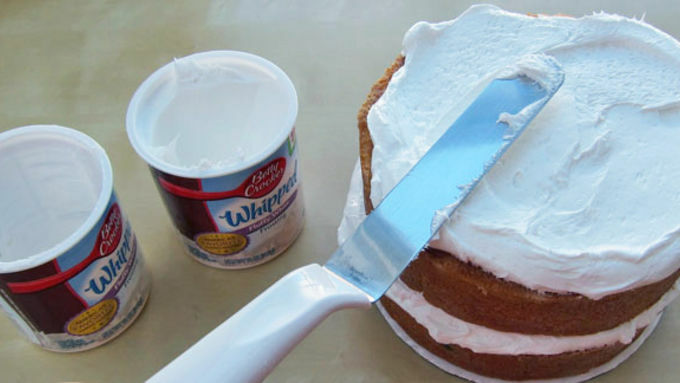 When the cake is whole, no one will know of the surprise hiding inside! Happy St. Patrick's Day!